Bypassing several prominent in-house candidates -- including Nightline's Terry Moran and White House correspondent Jake Tapper -- ABC News has tabbed longtime CNN mainstay Christiane Amanpour to be the new host of its Sunday morning This Week program. 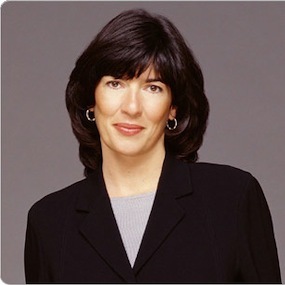 Amanpour's hiring comes at a time when ABC News is preparing to cut several hundred of its employees as part of a "fundamental transformation" in the way news is gathered and reported. 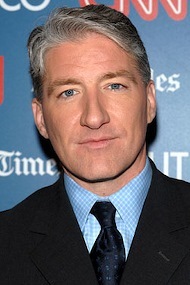 Amanpour won't take over This Week until August, with Tapper serving as interim host. In an email to ABC staffers, news president David Westin said that Amanpour will add an "international perspective" to the program. "Christiane will bring the international and the domestic together," he said. "Our audience has come to us for years to see differing points of view expressed in intelligent and compelling ways; now the different points of view will be expanded beyond partisan politics alone." Meanwhile at CNN, partisan politics will be on the frontburner when the new John King, USA premieres Monday, March 22nd at 6 p.m. central. The network bills King, USA as "America's home for informative, hard-hitting and, even, fun political news and conversation." The one-hour program will air on weeknights, with the following Campbell Brown building a bridge to CNN's other King in residence -- Larry.